I had a busy weekend so I didn’t get hardly any quilting done. I had one on the machine last Thursday that I knew I would finish on Friday. Well, it didn’t happen……….DH was home Friday & for some reason, when he’s around, I just don’t get as much done as I hope to. Oh well…….. he did go over to his Dad’s that night, and I thought I could finish the quilt before I headed out to the races. Didn’t happen…………….thread kept breaking. Oh well……………..I thought I could get it done on Saturday. Think again! We had a picnic over at the ball fields for the team that my DH coached this summer. I ended up spending Saturday getting everything ready for that. Running to town to make sure we had everything and then cooking that afternoon. I kept thinking about the quilt that was almost done. Sunday came, went to church and finally late in the afternoon, I finished the quilting. Yeah!!! I always do the borders last and it had a solid black border and I was using King Tut variegated thread so I was anxious to see how it was going to look on the border. I put chubby little leaves in the border. 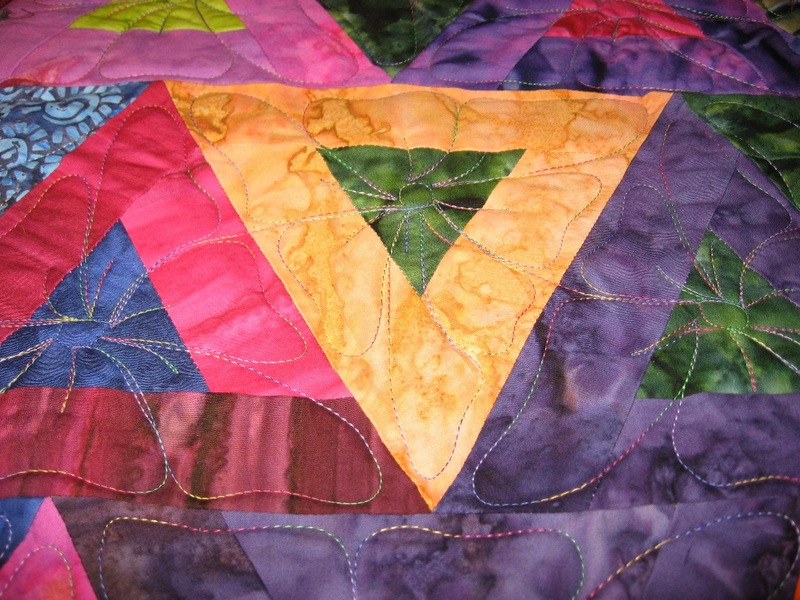 The quilt was made up of nothing but triangles, so I just put a flower in each triangle. I was glad when I finally finished it. My brother and I went to a funeral yesterday, it’s almost a 2 hour drive to get there. He made the comment when we pulled up that “we probably look like the Redneck cousins” since we had a motor in the back of the truck. I had to laugh!! He figured that since we were only going to be 20 miles from the place that he needed to take the motor, he might as well drop it off. So we did! So anyway, today I got back to quilting. I actually got 2 quilts quilted today. I only meandered them, so they went fairly quick. But they are done!!! 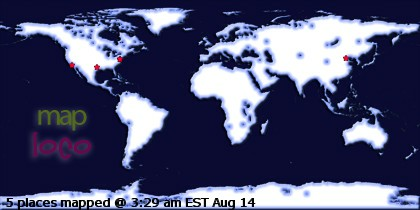 I just finished loading the next one on, so hopefully I can get started on it in the morning. I guess I better get to bed now, it’s getting late. Oh….I was thinking today while I was quilting, the next quilt is one where I’m going to put the binding on while it’s still on the machine. Anyone interested in seeing pictures of how that’s done? I thought if I remembered, that I could take a few pictures if anyone is interested. Let me know. What a pretty border treatment! 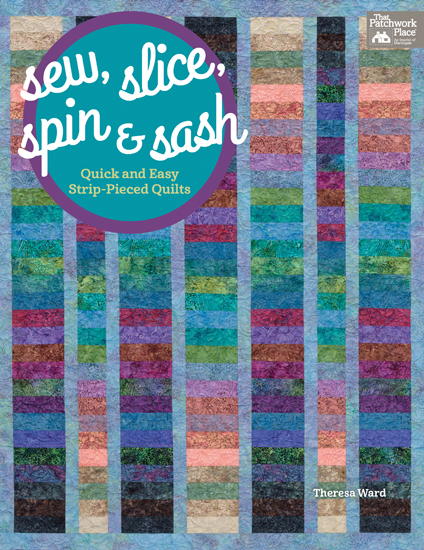 I’d love to see your tutorial for sewing binding on the longarm. I would love to see how you put the binding on while it’s still on the machine – is it a separate binding, or is it part of the backing? Very pretty! Love that variegated thread! Jerry, Congratulations on Mamie!! Have fun with her!! That’s the main thing to me is to keep it fun. Try different things and soon you’ll find what you like to do. 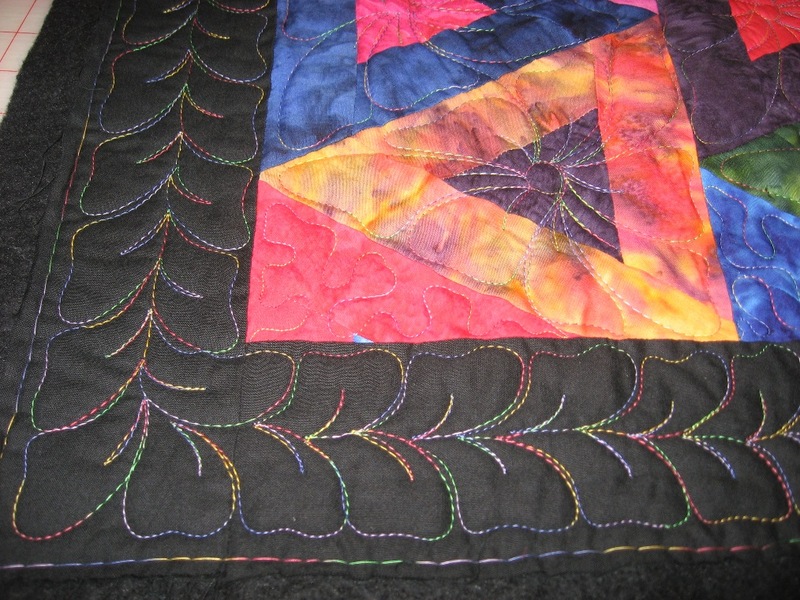 I love the challenge part of the quilting process. Sometimes I look at a quilt for days and days, before deciding what to do and then sometimes after I start quilting it, I decide to do it different from the original plan! Good luck and have fun!